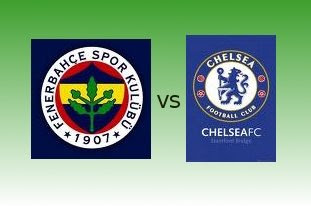 Fenerbahce SK won against Chelsea FC (2-1) at Sükrü Saraçoglu - Istanbul. Though Chelsea FC got the lead from an own goal by Deivid of Fenerbahce SK at the 13th minute of the game(0-1), the team(Fenerbahce) still got the win against Chelsea during their 1st leg match for the quarter finals of the Champions League. They countered Chelsea's lead during the second half when Kazim Kazim(Fenerbahce) beats the offside trap of the Chelsea's defenders then fires his shot past against Chelsea's keeper, Carlo Cudicini tying the game (1-1) at the 65th minute. The second goal came at the 81th minute when Deivid redeemed himself from the own goal in the 1st half, Deivid unleashed a sensational drive that sent the ball flying into the top corner of the goal giving Fenerbahce the lead (2-1).